23 Professional Blogger Widgets and Plugins for 2014! There have been a lot of improvement in Blogger platform in recent past with a lot of developers coming up with professional Blogger widgets, gadgets and plugins. 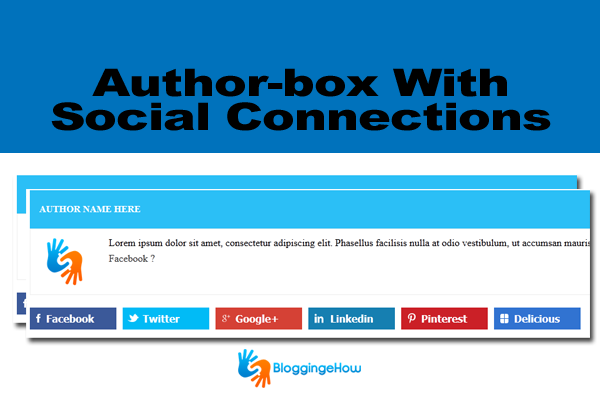 At BloggingeHow, we have released a lot of unique widgets for Blogger platform ranging from social media sharing plugins, to author boxes to contact form and what not. 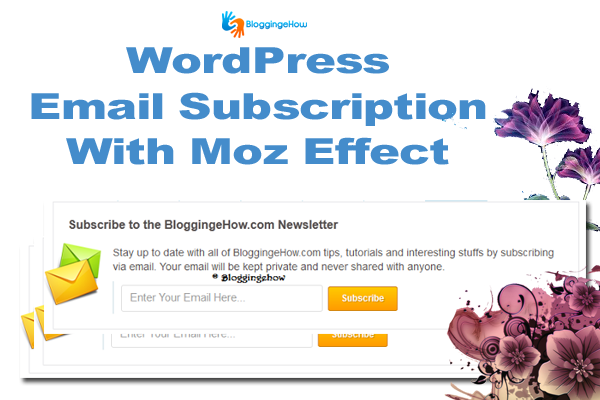 WordPress email subscription widget with a beautiful moz effect is unique in its kind. The left logo gives a 3D touch with its margins set to perfection. The email subscription widget is powered by Google's Feedburner service so you can easily set it up for your blog just by providing your Feedburner feed link. Facebook slide out floating social subscription widget slides out on mouse hover is sticky in nature so keeps floating with the screen as reader moves down. This makes the subscription rate to boost up. All in one social subscription just like the one above, has 4 major social platform plugins i.e Facebook, Twitter, Google+ and with a bonus plugin of Feedburner email subscription. This intelligent show up widget is what i looked for all over the net but failed. This simple Script makes the widget to appear only when a reader moves down the screen a certain distance from the top thus giving a great effect and improving loading speed. 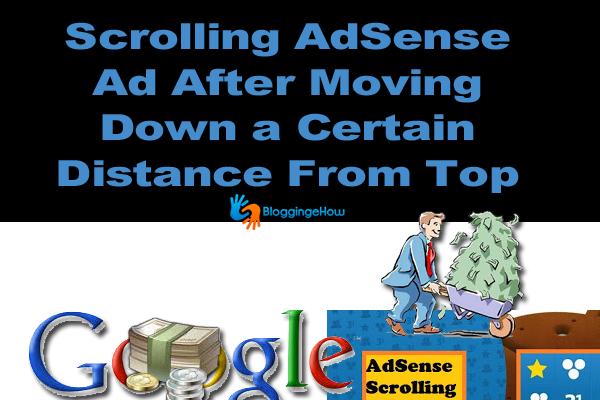 So your Adsense Ad in the sidebar would starting scrolling with the screen and will become sticky when it comes into the sight of the reader. One of my personnel favorite social subscription widget all over the web. The elegant design makes it unique and pull in tons of subscriptions. The widget includes links to popular social networks like Facebook, Twitter, Google+, RSS and YouTube. This is kind of an hack/overall to the Blogger's native popular post widget for the sidebar of the blogs. We designed the widget in a way that it gives a shiny glass hover effect for the Thumbnails. Amazing hack i must say. This static social media fan counter widget can be used to display the social count of your blogging audience and fans and a unique and attractive design. Though, the down side of this widget is the you have to update it manually after a set time, as it's static in nature. Inspired from a popular mobile apps website, this AppAdvice navigation says its all. 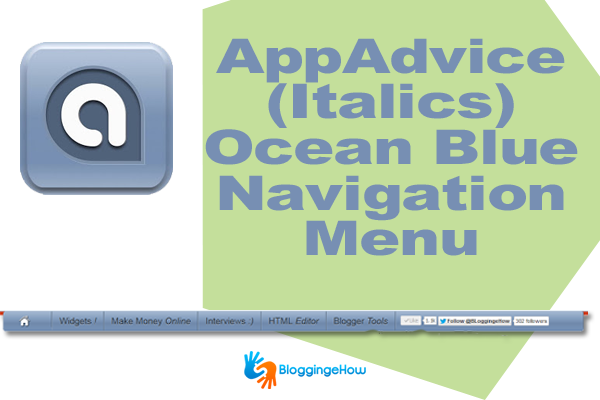 On the top of that, the navigation menu holds up 3 social media plugins namely Facebook, Twitter and Google +1 button. Thumbs up floating social media widget floats with the screen as you go down. This is an intelligent way to keep social plugin in front of the readers eye balls to get the maximum social share. Morse code announcement widget blinks and can be used for popular news on your website/blog. The widget has a close button, so that the announcement can be closed as the reader wishes. Next previous widget with social media sharing buttons is unique in its class. Inspired from theNextweb blog, the widget slides down when the reader starts reading the content of your blog posts. Its amazing and is proved to increase your social media shares. Click to drop down menu widget is amazingly fast loading. You can use it to display popular categories of your blogging series/categories and when the readers wishes, he/she can click a particular category and the corresponding posts would show up. The widget pushes down all the items below it in the sidebar thus negating any overlap of content. 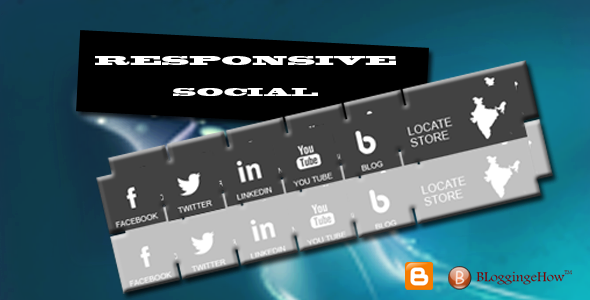 These social media buttons can be used to point the reader towards your social media platforms. Kampyle feedback buttons are professionally designed. These Feedback buttons are pretty eye grabbing. One of my personally favorite from all the BloggingeHow widgets collection, these widget is is powered by a unique glass effect, which can't be explained in few words. Have a look and enjoy your self. A simple mashable subscription widget that includes Facebook Like button, Twitter follow button with count and Google +1 button. Also, the widget is powered by Feedburner email subscription box too. In an all, this social subscription widget is pretty simple yet elegant to use in top sidebar spot. Unique in its style, this social media links widget is uniquely designed and gives a smooth transition effect for each social button. The widget includes Facebook, Twitter, LinkedIn, YouTube and more buttons. 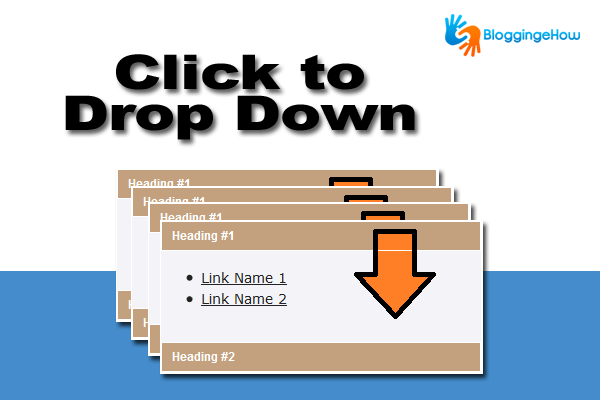 Blogger's next previous widget that displays previous and next stories is a wise option to increase page views. This email and social subscription widget speaks for its self. 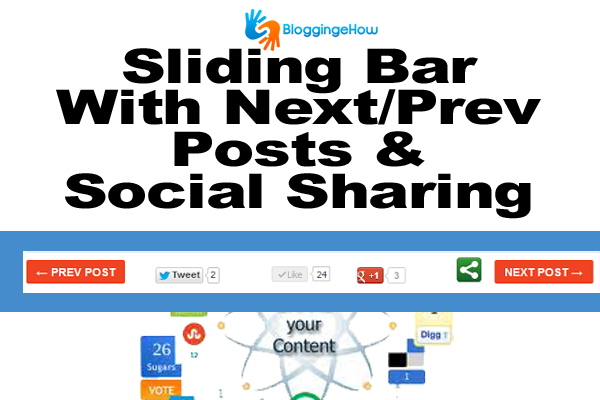 A simple and comprehensives widget is widely used by Blogger platform users. 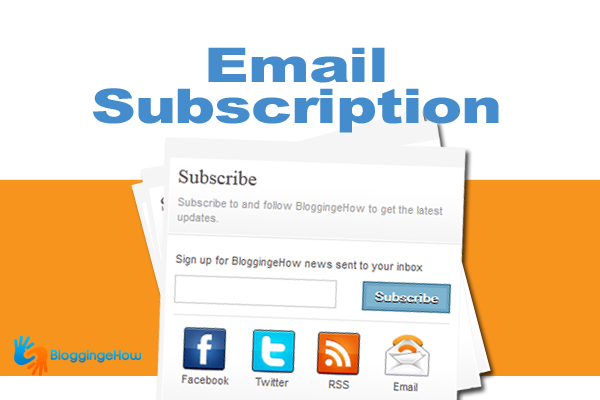 One of our first widget at BloggingeHow, and one of the most popular widget, this longitudinal widget can be used below navigation buttons to grab maximum email subscriptions. 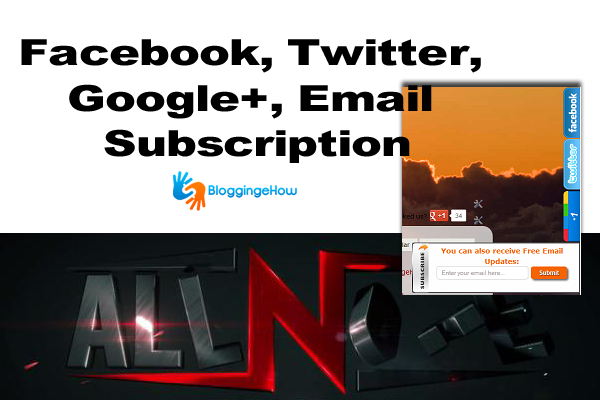 I hope you liked this amazing collection of Blogger widgets. Don't forget to give it a share in your social circle. BloggingeHow | Making Blogging Simpler: 23 Professional Blogger Widgets and Plugins for 2014!